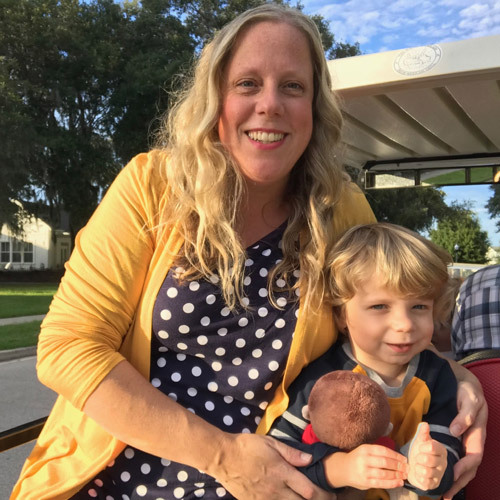 A friend of mine and her husband recently moved into their very first home and invited us to their housewarming party. When Matt & I first moved in, she was so sweet and gave us a basket filled with home decor magazines and a bottle of champagne. And for our "I Do BBQ" she made me an adorable hostess gift (she even wrote a blog post about it here)! 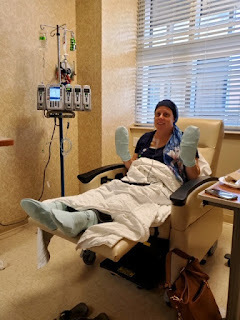 So, I knew I wanted to make her something personal and unique, something that she would always remember I made for her (even if she didn’t like it - she’d still remember it, LOL). I asked her, in a not so sly manner, if she could send me a picture of the outside of their house and of course, no questions asked, she obliged. 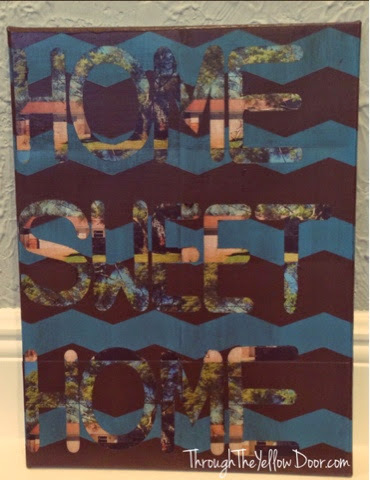 And from that one picture, I came up with a plan to create a unique DIY art project. 1.) 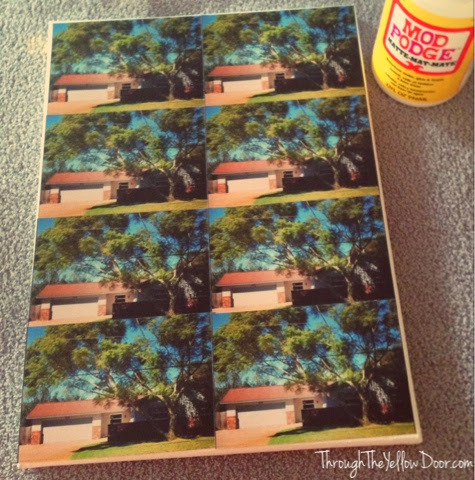 Glue the images you want to use to create the desired message (I had 11 images printed from Walgreens.com for $6) on the canvas with Mod Podge (I used the Matte finish so that there wouldn’t be a glare or shiny appearance). 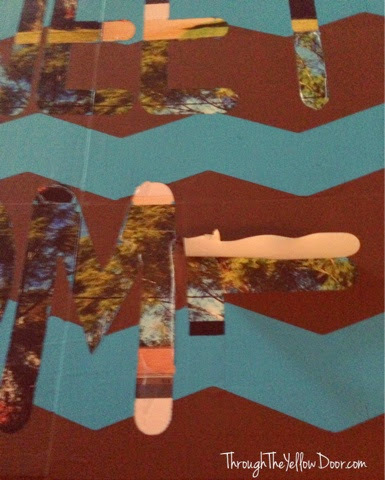 Let the Mod Podge dry for at least 2 hours before moving on to the next step. 2.) 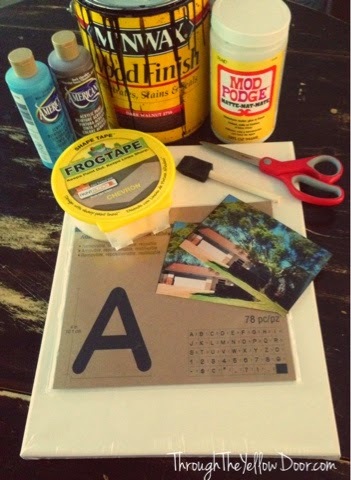 Use the vinyl adhesive letters to spell your desired message. 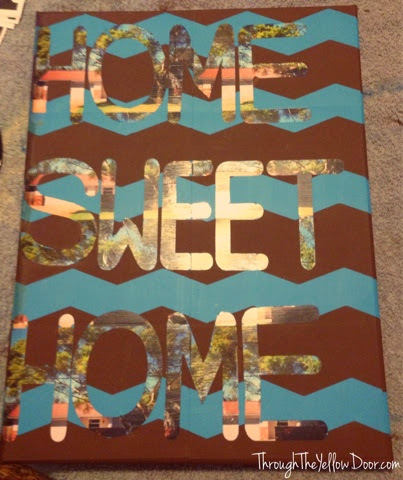 I knew I wanted to go with “home sweet home”, but believe me, this isn’t as easy as it appears. Those letters are super sticky and because the canvas was covered in Mod Podge it’s sticky too, so moving letters for spacing issues was a major pain, but not impossible. 3.) 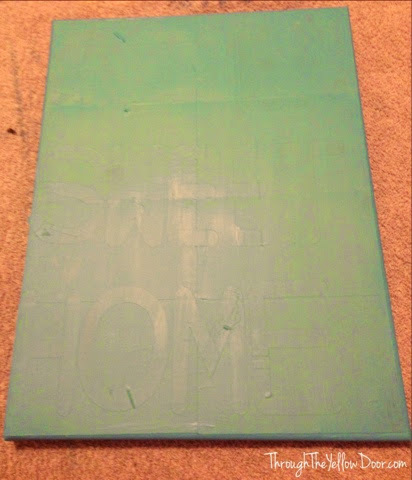 Paint over the vinyl letters (covering the entire canvas) with one of your two selected colors. I let the blue paint dry for at least an hour before I moved on to the next step. 4.) 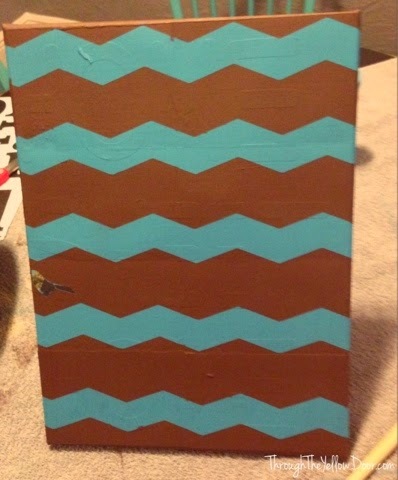 I applied the ShapeTape chevron pattern tape and tried my best to adhere it properly. However, because I wasn’t using a totally smooth surface, it didn’t adhere as well as it could’ve (again, I was okay with this because the overall look of the finished project was going to be more rustic). 5.) 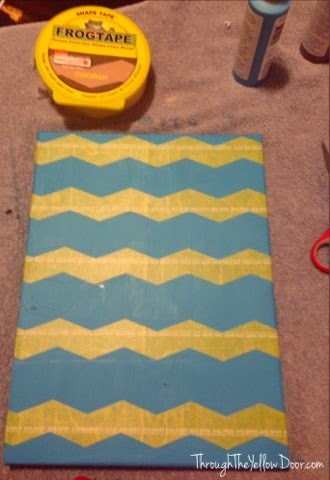 Next, I used the brown paint to cover up the blue areas and create my chevron pattern. I let the paint dry for only a few minutes before removing the ShapeTape (that’s the recommended procedure). Then I went to bed. Seriously, it was past 11pm on a Wednesday night and I was spent. Also, I’m old - so it was way past my bedtime. 6.) 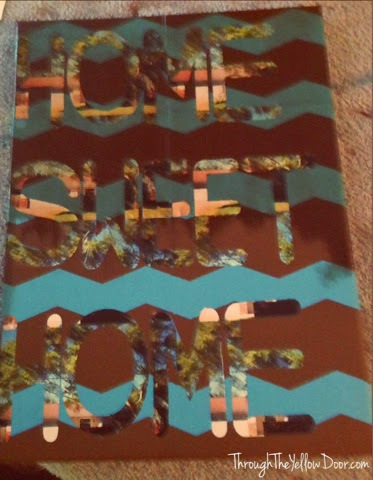 The next day I was ready to pull off the vinyl letters to reveal the “home sweet home” message (through images of their house below). Slowly peal the letters up to reveal the image below - it’s like the game Operation, it’s super stressful and exciting at the same time! This process is honestly the most important in the entire project. Don’t rush yourself! If I hadn’t known that I was going for a rustic look, so rips and imperfections didn’t matter, I would’ve dropped the F-bomb no less than 10 times while going through this step. Cause I’m classy like that. 7.) 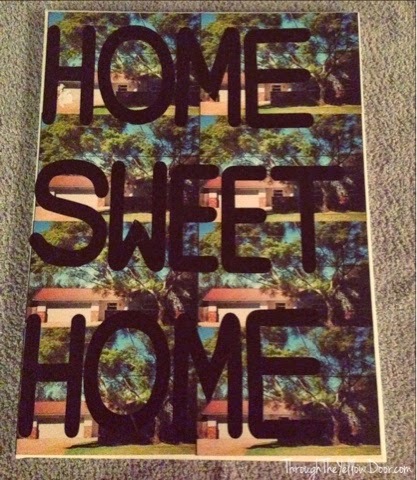 Once all the vinyl letters have been removed the images are now revealed to spell “home sweet home”. 8.) I wanted to give a quick aged/rustic touch to the piece because I don’t like things to look too “perfect”. I have some leftover wood stain from my entertainment stand project so I just brushed a really thin layer of stain over the entire canvas and rubbed it off with an old towel and then let everything dry. 9.) Finally, I sealed the entire piece with one last coat of Mod Podge. So creative and such a personalized gift. Great job!